Friend, follow or like. Choose any. RSS always gets it first. Work together? The inventor is IN. Media 2025 Roadmap – Develop ﻿your﻿ Media Leadership by adding ﻿an﻿ individually controlled Gateway Platform. Deliver personalized information, advertising and Individual Success — tomorrow’s actionable Media. Work 2025 Roadmap – Develop your Work Leadership by becoming the “Platform for Real-Time ﻿Work﻿” around the world. Converge customers, employees, ﻿suppliers﻿, distributors, markets and the economy. 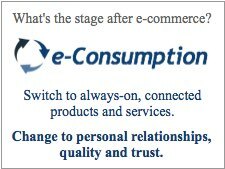 Commerce 2025 Roadmap – Embed Active Commerce and develop your Commercial Leadership. Replace search, advertising, shopping and retail ﻿﻿with﻿﻿ “moment of need” knowledge, tools and commerce. Supply Chain 2025 Roadmap – ​Disrupt and lead the economy with Connected Consumption, and a FAST Platform for Worldwide Prosperity. By 2025, one or a few companies could lead Supply and Demand Chains that raise prosperity and success worldwide. Corporate Digital Transformation Roadmap – Transform your company at Global scale. Then earn revenues: Advise other companies in people-first Transformations. Sell your Digital Earth Platform as a cloud service. 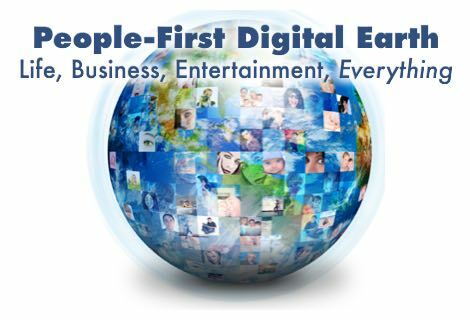 Earn as companies lead a People-First Digital Earth. Economic Growth 2025 Roadmap – Help lead the world to faster economic growth and the solution to inequality. Start Universal Prosperity through Exponential Personal Growth. The coming Digital Convergence Wars will force the billion-user platforms to fight each other for leadership. A Global Digital Transformation will converge everything into one Digital Infrastructure — with a few long-term winners, and many losers. 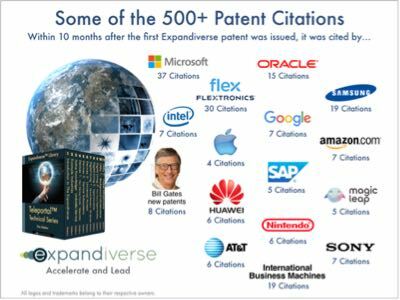 The first Expandiverse patent was cited over 500 times within 10 months after it issued. – More than 1 in 4 citations are from world leading tech companies. Transform customers, employees, suppliers and distributors – Become indispensable. Start adding tomorrow’s Digital Earth features to products and services, and capture the future. Visionary book. All 5-star reviews on Amazon.com. – Now free on Medium.com. In the top 10% on Medium.com in 2016. Stage 2 — During the arrival of VR-AR-MR (Virtual Reality, Augmented Reality, Mixed Reality): Your headset or interface displays your Virtual Teleportals as multiple screens of many sizes and locations. This multi-screen device replaces your phones, wearables, tablets, laptops/PCs, TVs and more. Stage 3 — One device to rule the world: Virtual Teleportals become immersive “always on” worlds you “Teleport” (or navigate) between. You’re continuously everywhere you want, worldwide — with always on people, tools and resources at your fingertips. Step through a time machine. Imagine it’s 2025 and we’ve built tomorrow’s Digital Earth. You live in the Expandiverse, which is new technology and IP for building tomorrow’s digital world. It’s a “you-centered” Digital World where your devices recognize you and turn on and off automagically. Your world follows you from screen to screen. Just like you walk into a room and everything is there, your screens make your digital world local. You have instant access to your people, services, places, tools and resources. You enjoy digital boundaries for privacy, and have both digital and physical protection. In fact, your digital world has grown more powerful and safer than the physical world. You’re at the top of your world, at its center, in control. You start your day with a healthy breakfast. You know it’s healthy because lots of people collaborated to get it right. From farmers through food product manufacturers, from retailers through consumers, they’re all members of a healthy food “governance.” This virtual community shares knowledge and needs between all its members. They all “see” and know the full picture as part of what each does to grow, produce, sell and eat food. That’s you this morning when you prepared and enjoyed your breakfast. Yet you knew you’re part of a natural food chain that starts on thousands of farms and works to be sustainable and affordable for the Earth’s billions of people. While eating you’re watching video on a tablet-size Teleportal. Your tablet Teleportal is part of a new family of devices that includes multiscreen technology (allowing you to use all your various screens seamlessly); and between Shared Planetary Life Spaces (virtual groups so people can stay connected and work together across all their people and devices, including their apps, services, places, tools and other resources). Teleportals converge computing, communications, TV/video, the Internet, work, commerce, entertainment and more into a continuous digital reality architecture that enables your continuous digital world. As Teleportals become higher quality your screens become as real in appearance and presence as looking through a window at the physical world in front of you. Today’s devices can use Virtual Teleportals. This cloud service turns your tablet into a Teleportal by delivering a DEaaS — Digital Earth as a Service. 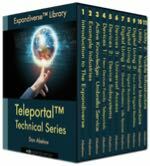 VirtTeleportals extend and grow the cloud services from Amazon AWS, Google Cloud Platform, Microsoft Azure and others. Now devices can be turned into “families.” Virtual Teleportals kick-start tomorrow’s Digital Earth and start the lifetime Journeys to Quality — customer-vendor relationships that will be grown for decades to come. The video is interrupted by one of the ads you let inside your personal paywall. One of your Digital Boundaries is a paywall. This blocks all ads except the ones you let inside, because you’re paid for watching them. This ad is for a breakfast cereal and you stop and pay attention to it, because your attention is tracked and you have to watch to get paid. The ad is funny and you laugh while taking another bite of the same cereal that’s in the ad. That’s now called “Partnership Capitalism,” because customers support the companies that support them. Funny how “partnering” strengthened marketing. You used to be bombarded with ads you blocked and fought to ignore. Now only the ads you allow get through, but you watch most of them because that puts money in your bank account every day. Companies love this because their ads accurately reach people who want to watch them. They use sentiment to deliver the ad styles each person likes. You love humor and respond to it, so your ads keep you smiling and laughing! Huge advertising services companies have grown to manage these personal paywalls. Almost everyone has at least one Digital Boundary, with ad management the most popular. For the ad management services that personalize ads for each consumer, those revenues are like printing money. You’re watching a video about the cereal company’s supply chain, because you work in supply chain logistics and distribution. How distribution has changed! Robotic pickers, self-driving forklifts, and equipment telematics show your whole virtual team a live, “walk inside” VirtDashboard of what’s happening every minute. As exceptions surface they’re drilled into with always-on connections, and dealt with immediately. Turnaround times have shrunk from a week or more to minutes. In your company, the supply chain’s always on Shared Spaces with managers and employees has grown. It has always on connections with similar Shared Spaces in manufacturers that ship to you, and in retailers that receive from you. Large end-users — the final customers — are also in some of your Shared Spaces, so your supply chain meets their needs accurately. Together you’re harnessing instant and living continuous connections — from the market through multiple companies — to drive constant improvements. Your supply chain is always tuning its efficiency, responsiveness and accuracy —benefitting your markets, industry and the economy. In fact a co-worker interrupts, asking you to stop by and see a new vDemo for managing your company’s connected supply chain—the start of a global command center for multiple supply chains. You choose not to wait and ask to see the vDemo now. You put on your VirtGlasses. Inside your VirtGlasses you see the same images and connections displayed on your tablet. You can also see through them, to the room you are sitting in. Your colleague is in the same place as on your tablet’s screen, but you vFocus your Shared Space with her. The rest of the images shrink and move to the bottom. vFocusing the Shared Space shifts your perspective. The room around you disappears. Your co-worker’s Team Space surrounds you — you are inside it. Its people, tools and resources are life size and “alive,” ready to interact. It feels like you stepped inside, and are standing in a world that is equal in size to the room you sit in. The designer is standing in front of you. She pops open the vDemo and stretches it to person-size so it’s clearer. She Teleports inside it, bringing you along, as she explains it. Around you is the new vCommand Center—you’re inside its mocked-up vSpace. The designer quickly points out its “always on” vDashboards, vTools, vResources and vServices. The main team members are there and photorealistic— they look like themselves, not cartoon avatars. Everyone there is a continuously connected “vPresence.” If someone is vActive it shows him or her live and correctly sized in this vSpace, or if vInactive it shows their photo-realistic image, motionless and on the side. In the demo everyone is a photorealistic presence, but pixelated. In the real vCommand Center they will be photorealistic. They will look live, like themselves. 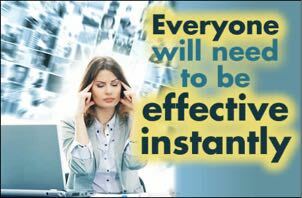 They will also be Active or Inactive, depending on each person’s “presence” every minute. You mute all other live audio from the vPresences in the vDemo except the designer. You are in a vFocused conversation with her alone. This vDemo is an Expandiverse Shared Space. It is configured as a private vCommand Center for the different companies’ employees that work together on the Logistics part of your company’s supply chain. In the center of the room, the customers, shipping containers, fleet and vehicle telematics are turned into a photorealistic living “vMap.” At the bottom is a virtual map of the world. Sitting right on the map is a real-time visual representation of this minute’s view of all your supply chain’s containers, warehouses and retail stores in position on the virtual map. The stationary containers are in loading yards and sitting at distribution centers and warehouses. Some containers are moving, and those are on trucks, trains, barges. When zoomed out you these appear to move very slowly, but zooming in on a container and making it life size shows its real-world speed if it’s on a truck, train or ship. Floating above the map is a “customer cloud” with one tiny light for each of your product’s customers. Together their clusters show where your customers are located and their buying intentions. With real-time continuous connections, and big data analytics, it’s possible to “see” each of your customers colored green, yellow or red — green for customers whose “predictive analytics” show near-term buying likelihood, red for customers who are unlikely to buy, and yellow for those in between. Marketing uses this “customer cloud map” to report real in-use demand and anticipated sales. Continuous connections collect big data from each customer. This “sees” product uses, original purchase dates, number of lifetime uses, customer expertise through Active Knowledge, projected upgrade dates and more. It combines that forecast with new customer inquiries and sales leads. Then it modifies that with the latest data from sales campaigns and tests — which are global, local and personal — to calculate real-world demand and the locations where products will be needed. The most effective tests are sometimes personal, tailored to each customer’s activities and emotions. Because interactions are real-time, this sometimes turns parts of a product’s customer cloud from red to green as it is watched. Logistics uses the “customer cloud data” to manage suppliers and distributors to fit customer demand, and to adjust schedules in real-time to fit changing real-world demand. Accuracy is tracked. Active Knowledge suggests product improvements based on the the most accurate understandings of how well products are actually used and missing features uncovered. There is also a rate of Active Resources uses by customers, showing real-time switching to tools that produce the best customer results. Supply Chain S&OP (Sales & Operations Planning) Planners bring these together to find and fix the gaps. This vCommand Center is expected to raise today’s 63% average accuracy to the 80% or even 90% range. But gaps will remain. Here is where they will constantly find and fix them. Their continuous real-time connections with customers, suppliers and logistics will make these corrections in real-time, with Active Knowledge and Active Resources helping them do that faster and faster. Tools developers will carefully follow both Active Knowledge and Active Resources, to learn the corrections used, and the outcomes from how well each type of guidance actually works. Those real-time results will show them how to build the best tools, and the best ways to use them. Engineering will turn into a repetitive process of seeing the biggest gaps, learning how they are solved, and building that into the tools and vCommand Center. Then doing that again and again. The designer goes right to the frequent Use Case of “find my stuff.” She chooses a product that is selling faster in some places, so its in-store inventory is sold out in some stores. Search is available to everyone, everywhere. She pulls open Search in the air next to her and displays a 3D image of the product that is needed right away in some sold out stores. The 3D vMap view changes to show that product’s current status. She filters the vMap to where the product is needed. Those cities, stores and customer cloud grow brighter while the other parts of the vMap grow dimmer. In the customer cloud, the intensity of “green customers” above the stores shows the customers’ predicted buying intentions. Stronger green customer clouds mean more product will continue to be needed in those locations. She pulls open a priorities interface, which automatically orders the stock-out locations with the largest predicted lost sales at the top. With a gesture she applies that to the vMap and its lighting changes so the biggest problem locations are brightest and have data floating above each of them. At the same time, this product’s containers and cases in warehouses and retail store backrooms are brightly lit and highlighted, while the rest of the “vMap” grows dimmer and fades slightly. To solve this stock-out problem she asks for only the containers and cases closest to the retail stores that are out of stock or low on inventory. Those need to be delivered immediately. With another gesture, she makes those the only highlighted containers and cases in the warehouses. She then picks one warehouse and zooms in, actually using that place’s cameras and sensors to “go in there” in real-time. “So how many vCommand Centers are there?” you ask. “Can you show me how that works?” you ask. This vCommand Center includes the logistics companies and their employees in your supply chain. The designer turns to the same Use Case — a product that sells quickly and goes out of stock at some stores. The vMap has highlighted that product’s containers and cases near stores that are out of stock or have low inventory. With one command the designer calls a vMeeting of all the distribution and logistics companies’ employees responsible for immediately shipping those containers and cases. The vPresence system connects to those people, making them all vActive together. If someone is not available, it makes vActive the back-up employee from each company who is assigned to participate in real-time. You’re immediately “with” all the different logistics companies’ employees responsible for moving that product to those retail stores. They’re avatars in this demo, but will be live in the real vCommand Center. Because this vShared Space also uses Virtual Teleportals, it works on today’s devices as well as through VR and MR. This entire vCommand Center will display and work on all the devices everyone is using whenever they are needed. Your company’s entire supply chain will be continuously connected in real-time, working at full speed from everywhere, without needing anyone to put on VirtGlasses or use VR. You smile. The vDemo is interactive, looks like your company’s supply chain, works like a fully connected economy should, and has Virtual Teleportals to connect everyone who’s not in VR or MR. You can “see” that this can easily go “live” for its next stage—vTesting it with some key employees in multiple companies throughout one or two supply chains. You tell the vDesigner to go for it and create a working prototype for this VirtLogistics vShared Space. Tomorrow’s Digital Economy will soon grow far more powerful and efficient than today’s on/off physical economy (which is mostly “off”). Before you leave you flip to your family’s Shared Life Space to check how your parents are adjusting to retirement. Still wearing your VirtGlasses, you make the designer’s vShared Space Inactive. Then you Activate the VirtTeleportal to your parents’ vShared Space as a floating doorway. You look in. Mom’s in a vCardGame with her friends. They’re virtually blended into a live view of the gardens next to the Eiffel Tower. It’s afternoon there, and Parisians and tourists are out enjoying the sun in one of the world’s most beautiful places. Nice card game! Dad’s exploring Belize’s coral atolls while chatting with a childhood buddy. He’s sipping coffee while blended into a live 3D from the reef, surrounding him with tropical fish. He notices that you’re vActive and gives you a quick wave then turns back to his friend. No worries there so you don’t vFocus in either of them. Senior citizens like your parents create some of the most active VirtCommunities. They enjoy 24×7 relationships with their families, childhood and lifetime friends, resources, services and caregivers. It seems like the more someone’s physical mobility shrinks, the larger their digital life grows — and the more they enjoy experiencing life on every part of the Earth. As you ride to work you think back to the first meeting where you started this Digital Supply Chain project. It seemed logical to link our screens across supply chains and add continuous connections that move with everyone as we switch from screen to screen. But it was transformed by realizing our devices will evolve to VR and MR wearables. The big surprise is how we’ll no longer need to buy multiple screens and devices. Instead, VirtGlasses make devices and screens virtual. Every person can have as many vScreens as they want at the same time — with the many different sizes and features wanted in each of them. Some are wall size, some sit on a desk and some morph into anything. For example, a small vScreen can be attached to your wrist as a vWatch and vBioMonitor. When you receive a supply chain alert, you simply spread your vWatch screen to the large size needed to use its information immediately. No need to switch to a different device. Your VirtGlasses even turn your vWrist screen into a vWall screen with a vLive connection to your manufacturer or shipper anywhere around the world. Suddenly, every kind of screen and interface became an instant part of your VirtSupplyChain, without anyone needing to buy a single device. Over time your team added multiple always-on groups for different parts of the supply chain; continuous connections to customers to keep demand forecasts accurate, CGI-like blending of people and places, and only the ads each person wanted to see. Then it added both physical and digital security (based on recognition) so the supply chain stayed secure in every location worldwide. Tech’s Holy Grail is the bridge from today’s world into Virtual Reality, Augmented Reality and Mixed Reality. After all, no one actually needs VR. What is needed is the universal Mixed Reality glasses or device that surrounds the user with all the kinds of screens they want. One pair of MR glasses could replace your watch, phone, tablet, laptop, TVs and floating screens that move with you. If they display the Expandiverse, you can be simultaneously present in many Shared Spaces — and flip between them instantly. You will be everywhere you want to be, together with everyone in them. The world’s knowledge, services, resources and personal powers will no longer be disconnected or need to be found and run to be used. Your always-on fingertips will control humanity’s combined abilities and resources. You’ll enjoy guidance for their immediate successful use. On Digital Earths you run and control. Like Android drives 80% of the world’s smart phones, this company’s device will enable digital businesses, life and the Digital Economy. Their hardware plus Expandiverse platform will drive tomorrow’s winner-take-all world. On a Digital Earth we can start building and moving into today. 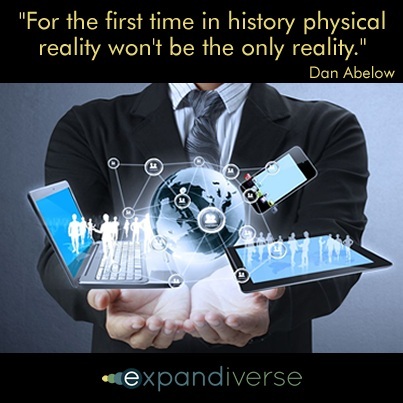 Share the post "The unlimited world includes Today’s Devices plus Augmented and Virtual Reality"
Author: Dan Abelow Dan Abelow’s latest invention, the Expandiverse, is new technology for building a people-first Digital Earth. Its first patent has already been cited over 500 times by subsequent patents. His latest online project is DigitalEarth2025.com, to help build a Global Digital Transformation by providing Roadmaps and foresights. 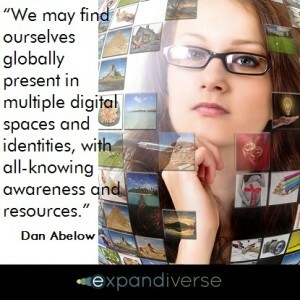 Technology is delivered at Expandiverse.com. 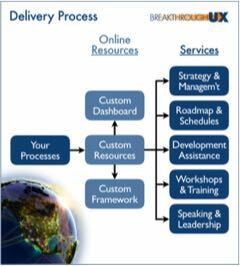 Services are provided at BreakthroughUX.com. 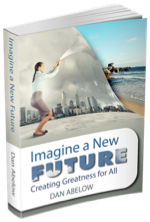 Dan is an independent inventor, author, speaker and consultant. His previous patents have been licensed by over 500 corporations that include Apple, Google, Microsoft, Samsung Electronics and others. He holds degrees from Harvard and the Wharton School. CXO Briefing Excerpt: Are you thinking big enough?